A mix up between a property owner and his builder meant that both thought the other was obtaining Council Development Approval for the rural property at Crystal Brook but in reality neither did. 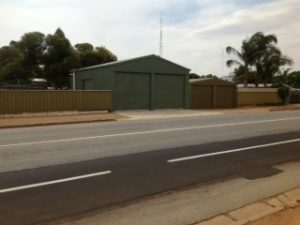 Once the structure was erected the Council didn’t like the structure (refer middle shed in photograph below) or the fact that it had been erected without approval. As the planning consultant that lodged the subsequent development Application for approval it was necessary to convince the Council Planners that structure warranted approval with reference to the provisions in Councils Development Plan. After extensive negotiations approval was granted and all parties where happy.